On a Friday evening at the end of September we strolled down to Sharrow Vale Road to spend some time sampling the cuisine of the area’s newest bistro, Oliver’s. 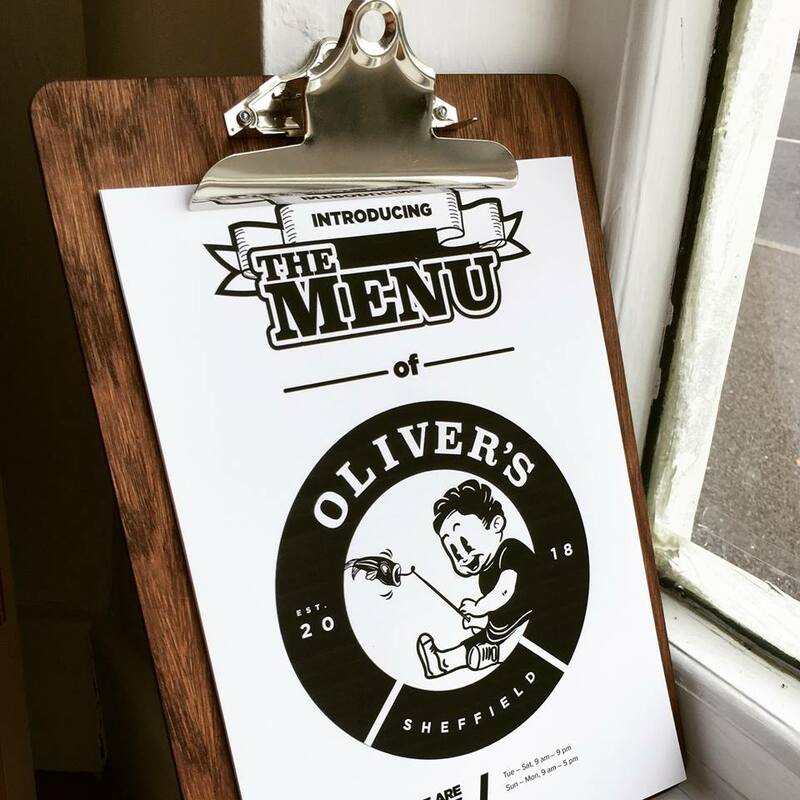 Located just off Sharrow Vale on Hickmott Road, Oliver’s has a fresh feel and a welcoming atmosphere. The decor is crisp and clean and the seats by the window are perfect for sitting and watching the world go by while you indulge in brunch, lunch or dinner. This area of Sheffield is renowned for its healthy abundance of independent traders and Oliver’s takes full advantage of these being on their doorstep by sourcing their ingredients from the local butchers, bakers, fishmongers and coffee roasters. And while they don’t yet have a booze license, they’re happy for you to bring your own (we’d recommend stopping off at StarmoreBoss for a bottle of vino), or they’ll even pop next door to the Porter Cottage and get you a drink from there. 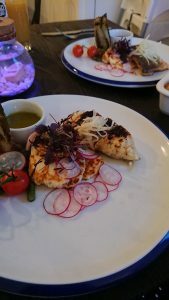 Being pretty big seafood fans, we were drawn to the sea bass and stuffed squid, which was accompanied by a delicious grilled halloumi, fennel, asparagus, cherry tomato and radish salad. We also chose a side of wild rice and opted for the tarragon and lemon vinaigrette to tie it all together. The meat, fish, salad and sides menus are sizeable and there’s certainly plenty to please a variety of palates but do check in with a member of staff to confirm availability of your chosen dishes. Our food was beautifully presented and tasted wonderful, and the portioning was spot on. We left feeling full but not stuffed, always the mark of good quality food. A special mention should also go to our waiter, who was nicely attentive without being intrusive, and made us feel as if no request would’ve been too much trouble. All in all, a lovely time was had. So be sure to pop in to Oliver’s next time you’re in the Sharrow Vale area. They’re open seven days a week from 9am-9pm Tuesday to Saturday and 9am-5pm on Sundays and Mondays. Check out their website for the full menu.